Glow Groom™ is promoted as a grooming aid used to reduce the appearance of stains from the eyes, mouth and feet of your pet. 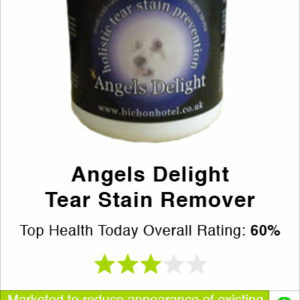 This is marketed as a natural and gentle tear stain formula. 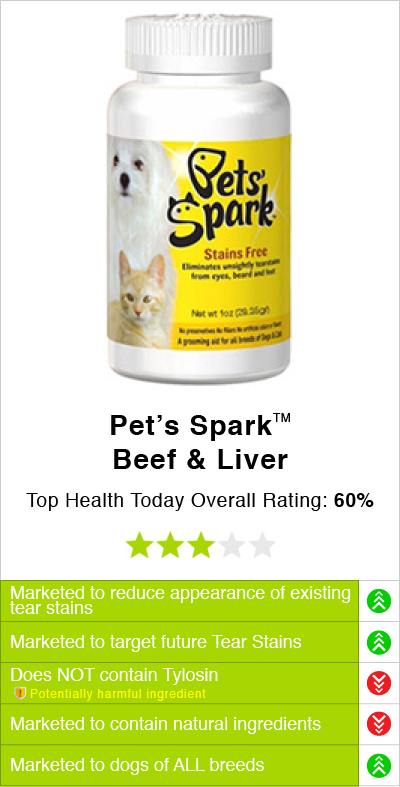 It also helps support your pets immune system and combats inflammation. 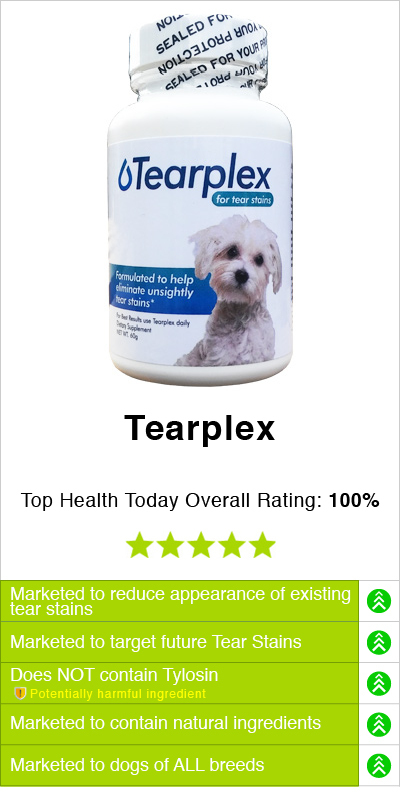 The manufacture states that this supplement is not marketed to diminish tear stains that are pre-existing. The manufacture states your pets hair should be trimmed to reduce the appearance of the old stains. According to the manufacturer, the Glow Groom formula helps eliminate tear stains from within and addresses the underlying cause to gradually reducing weepy eyes. 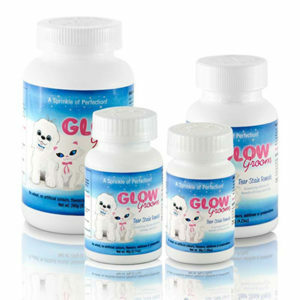 Glow Groom currently is sold in five sizes. The size you buy should depend on the weight of your dog or cat. Glow Groom™ should be added to your pets food daily to address the look of ugly dog tear stains. Most pet owners like that Glow Groom does not require rubbing of the eyes to achieve desires results and Glow Groom™ doesn't contain the antibiotic Tylosin. 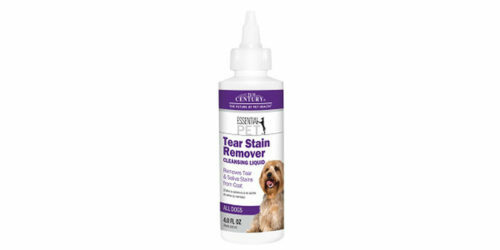 Some tear stain products are sold as a liquid tear stain remover which requires its customers to use a cloth or wipe to cleanse the crusty eye stains. Some dogs do not like the hair near their eyes touched. Glow Groom makes it easy for pet owners to administer this product to their dog and cat because you can sprinkle it over their food. 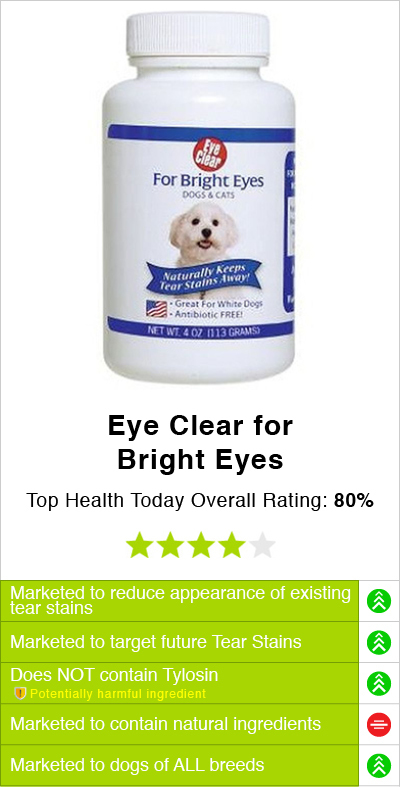 This product is marketed to be useful in all dog and cat breeds. 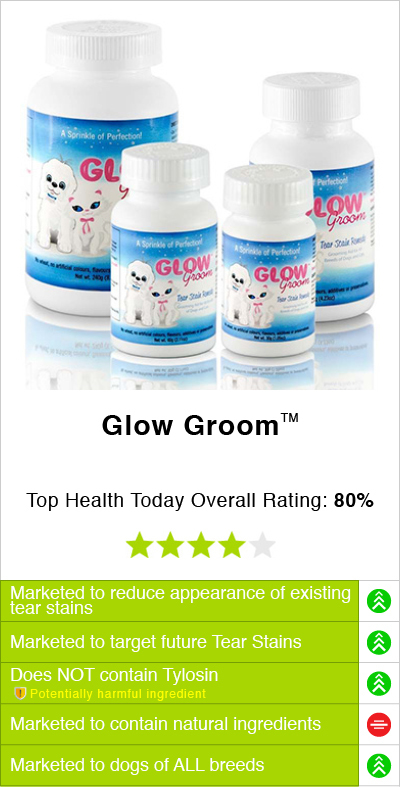 Glow Groom™ claims that you will see a reduction in your pets tear stains within weeks. Use as directed to achieve the best results, if results may occur. Result may vary for each pet. 30g, 60g, 120g, 240g, 500g. Add Glow Groom™ to your pet’s food or give it to your pet mixed with a treat your pet likes. Alternately add Glow Groom™ to a purified water (Adding the water to the powder, not the powder into the water) feed your pet this mixture with a medicine dropper or syringe into your dogs mouth. 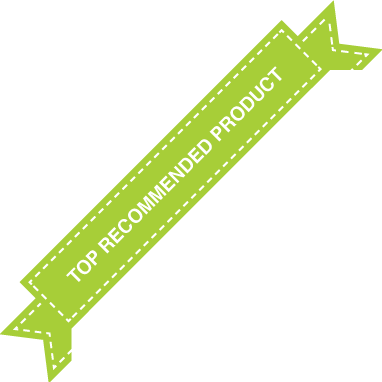 It is recommended to add Glow Groom™ with just a as a pinch and increase gradually during the first two weeks, until you reach recommended daily dose. You should then keep the full recommended dose for 60 days (~ 8 weeks). After another 2 weeks cut the dose in half. 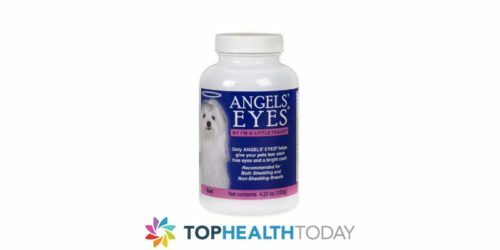 If no signs of stains or discharge, continue with a half dose every other day for another two weeks, until you no longer need to give it to your pet. Although uncommon; if stains or discharge reappear whilst using Glow Groom, this indicates the need for a more aggressive approach. Immediately re-start the everyday regime for 30 days – doubling the original daily dose. Then revert back to the standard dosing directions. Eyebright (Euphrasia), Flaxseed, Rice Bran, Primary Dried Inactive Yeast, Cane Molasses, Sunflower Seed, Dehydrated Alfalfa, Dried Carrot, Ground Barley Grass, Zinc Methionine Complex, Dried Kelp, Lecithin, Niacin (Vit. B3), Pyridoxine Hydrochloride (Vit. B6), Yucca Schidigera Extract, Garlic, Riboflavin (Vit. B2), Thiamine Hydrochloride (Vit. B1), Folic Acid, Vit. B12 Supplement and Omega 3. At this time Glow Groom is not marketed to remove existing tear stains. Glow Groom takes time to achieve noticeable results- it is not a quick fix. 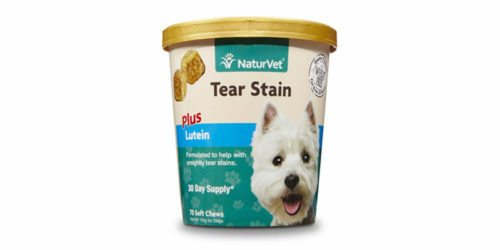 You may find other options that work on existing tear stains and help address future stains. Glow Groom™ is marketed to improve the look of tear stains. Based on the ingredient list this supplement doesn't contain Tylosin. This product is expensive with their largest buying option priced at a hefty $269.95. Compare this product to other similar products by looking at the grid below.